Mohandas Karamchand Gandhi, also known as the 'Father of the Nation' was assassinated on January 30, 1948. The day is also recognised as Martyrs' Day. 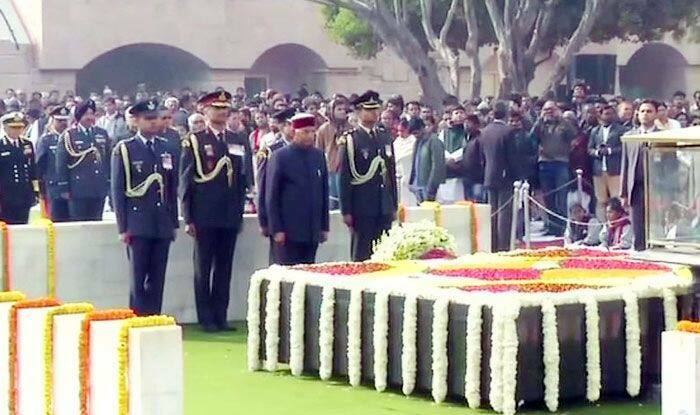 New Delhi: On the 71st Death Anniversary of Mahatma Gandhi on Wednesday, President Ram Nath Kovind and Prime Minister Narendra paid tributes at Gandhi Samadhi in Rajghat at New Delhi. Others who attended the Sarva-Dharma Prarthana at Rajghat included Defence minister Nirmala Sitaraman and Congress President Rahul Gandhi. 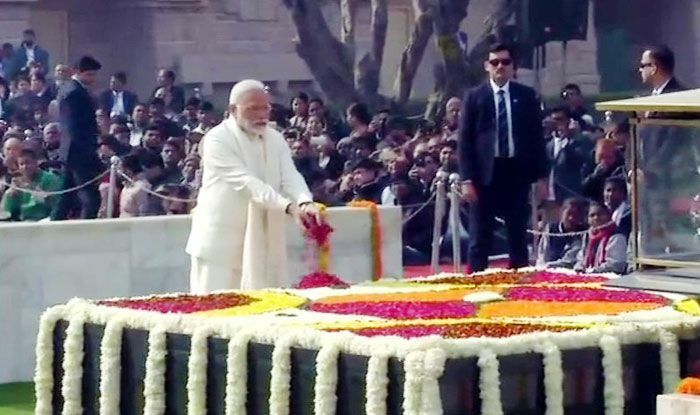 Prime Minister Narendra Modi pays tribute to Mahatma Gandhi at Rajghat on Wednesday. 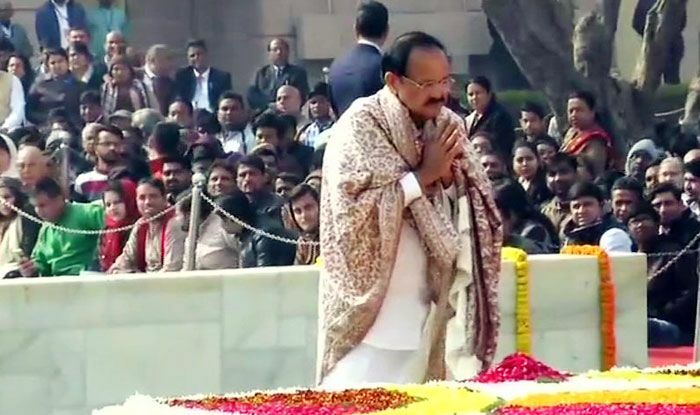 Vice President Naidu pays tribute to Mahatma Gandhi at Rajghat. Mohandas Karamchand Gandhi, also known as the ‘Father of the Nation’, was assassinated on January 30, 1948. The day is also recognised as Martyrs’ Day.